What are you looking to change ? What do you want to do better ? Or even do less of ? With hypnotherapy based solutions there will be a way to make it happen. There are many different types of therapy and Louise Baker has been practicing and training Hypnotherapy and other skills for many years she integrates this understanding, training, and experience to create your personalised program of change. How you ever been curious about hypnosis, how it works and what’s going on ? 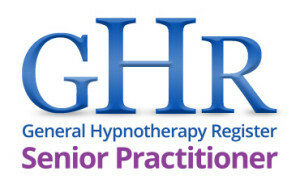 Or even interested in becoming a hypnotherapist. Louise Baker offer a wide range of personalised and group trainings on a range of topics. If training as a therapist is not your thing and you are interested in learning more about how your mind works, how to let go of past trauma and how to lead your most successful life then you may be very interested in working with Louise on one of her workshops. Are you exhausted by constant worry ? go over things time and time again ? Did it difficult to let go ? Mind you mind is a unique programme of change designed specifically for the anxious mind and body. Do you ned to just go for it ? Do you still think you can’t do it or you never will STOP IT, the flexible programmes to change your habits and the way you feel about yourself are ideal. What is it I can do to help you ? I’ve been helping people to change and supporting other therapist through their training and with their clients for over a decade now. Clients consistently create amazing changes in their own lives and succeed in gaining self belief and insight into creating the life of their dreams. Over this past year I have undergone my own transformation bringing into my clients solutions the most innovative and science based practices. At the heart of what I do is enabling you to take back control of your mind and body in a way that enables life long change.